Maya Evans was the second winner of the uVolunteer Travel Scholarship for 2016. She was awarded a free trip including airfare to our program in Costa Rica. During her trip she wrote a daily journal about her experiences and we will be sharing these journal entries with you over the next few weeks. We hope you enjoy them and that they give you an inside perspective of live as a volunteer in Costa Rica. Today I start my four week journey in San Ramon, Costa Rica with uVolunteer! It is my first time ever traveling out of the United States. 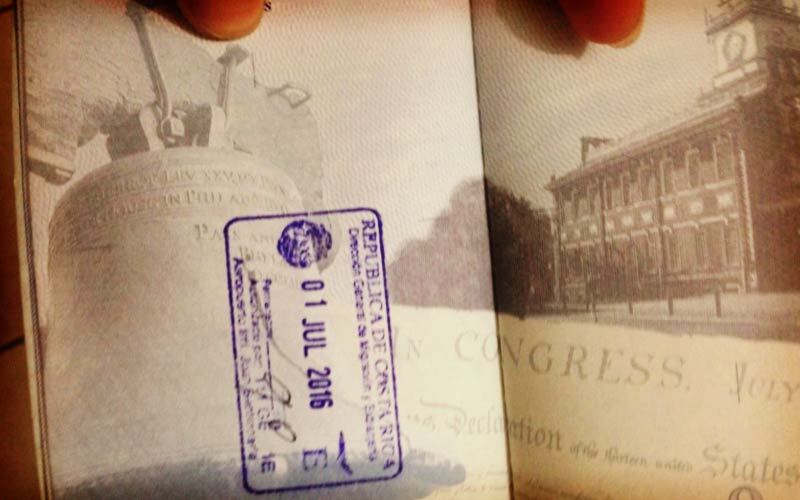 I anxiously waited in line for Customs and Border Patrol to give me my first country stamp. To be honest though, I was very sad leaving this morning; my mom and I sat at the airport for 30 minutes just saying our goodbyes. I am also used to traveling with at least forty other people on my track team, so it was weird traveling alone and not knowing anybody when I got here. But, all the nerves are gone now, and I am extremely excited! Exiting the airport was very overwhelming. It felt like, as I would imagine, a celebrity walking down the red carpet with a mob of paparazzi surrounding them. Instead of flashing cameras, there was a huge crowd of people waving signs with passenger’s names. It took about fifteen minutes before I finally found Gaby, my uVolunteer program coordinator! As a welcome into the country, Gaby and I got lunch at Deli Malinche with traditional rice with chicken, salad, and plantains. 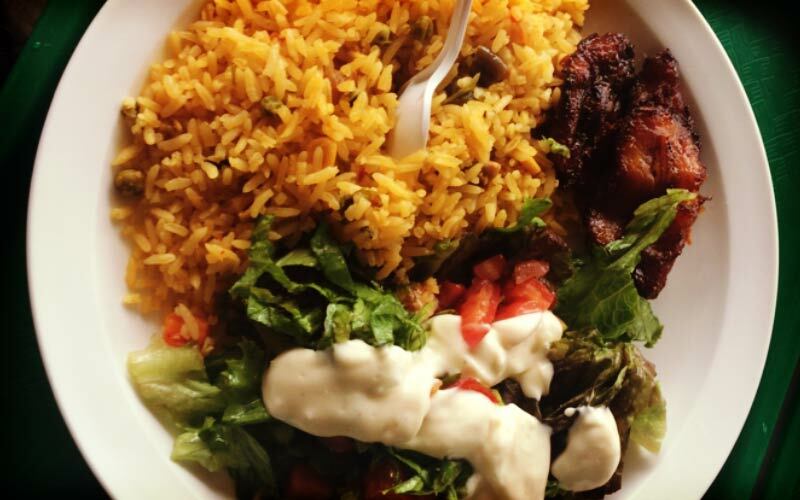 I love plantains, but I typically do not prefer to eat rice. Little did I know, however, that I would be eating rice every day in Costa Rica. I had to wait another two hours for another uVolunteer to arrive, so during this time I tested out my Spanish-speaking skills with Gaby and the taxi driver, Eddie. I was scared to speak at first, and when I did, many of the things I said were often premeditated. I will definitely have to improve on my confidence to hold long conversations. 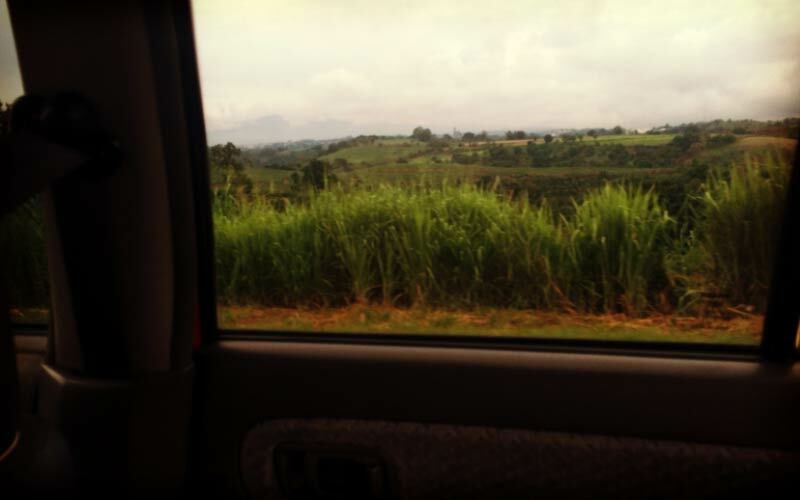 Driving to our dormitory from the airport I realized Costa Rican driving is crazy!! The speed limit was 90 mph, and the ticos (what they call natives of Costa Rica) weave in and out of traffic without caution. Pedestrians also do not have the right away, so I will have to be careful with this. On the other hand, there was a beautiful view of the mountains on the route home. Thankfully, we arrived home safely and met two more volunteers; the others were away traveling for the weekend. We didn’t do too much on the first night except walk through the mall and into town. I was extremely surprised though to see a Taco Bell, Kentucky Fried Chicken, and McDonald’s in the mall’s food court. The currency here is colones and on the bill it is measured in milliones. There are about 546 colones to the United States dollar. I will have to get used to seeing the numbers in the thousands for food and clothing prices. I have to admit I was very nervous coming into a new country not knowing anybody, but now I am excited for what is to come!